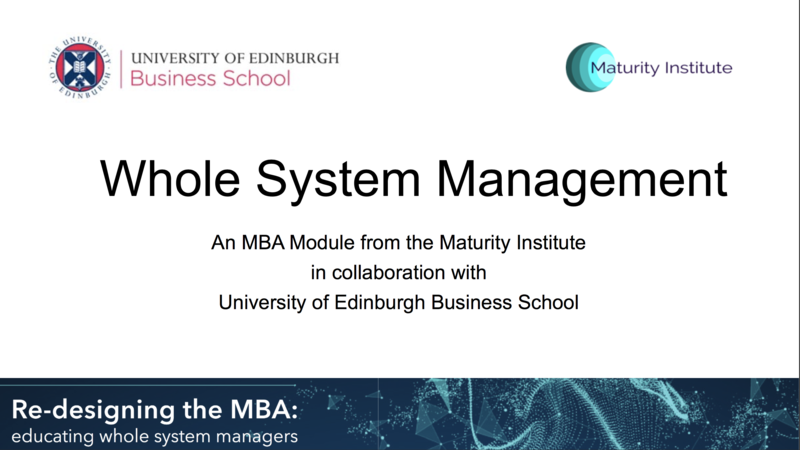 The Maturity Institute is introducing its new WSM MBA Module as part of its ‘Value Scotland’ launch events on 13th February 2019. It was designed to provide an answer to critical questions, and more, simultaneously and systemically. Click these links for the WSM MBA Module Briefing and the slide presentation . Has Management become accepted as a scientific, evidence-based profession? Management studies and research are based on disintegrated/siloed perspectives and WSM resolves this problem, underpinned by the standards of MI, a new professional body deisgned for this purpose. Is the sole responsibility of a corporation to make a profit? WSM and its linkage to Total Stakeholder Value provides a route away from our prevailing shareholder value paradigm. It also offers a total rebuttal of the ‘Friedman Doctrine’ of profit maximisation. What is the purpose of an MBA? Is it just a qualification or the foundation of professional management practice? Are ‘management’ and ‘medicine’ directly analogous? One deals with organizational health, the other individual health. Both should be based on the best evidence available, the best methods and standards. Is there a theory/practice (knowing/doing) gap between academia and practitioner? Can we build an effective bridge? Is crucial analysis missing from conventional economics teaching ? WSM and TSV provides a universal definition of value that can be applied to any organization. What is wrong with accounting theory and practice? Acknowledgement by IIRC of the existence of 6 capitals (financial, manufactured, natural, human, intellectual, social) is an important perspective but effective integration remains elusive. WSM unifies and integrates the capitals in the pursuit of long-term value. Why does company reporting omit critical value and risk factors? The failure to report quantifiable “intangibles” and an inability to account for the value from human capital is fixed through the application of WSM and TSV approaches. What is wrong with auditing? A failure to audit the whole system, especially the intangibles and human systems, misses fundamental business risk, and must be addressed as a matter of urgency. How do we make leadership fit for purpose? 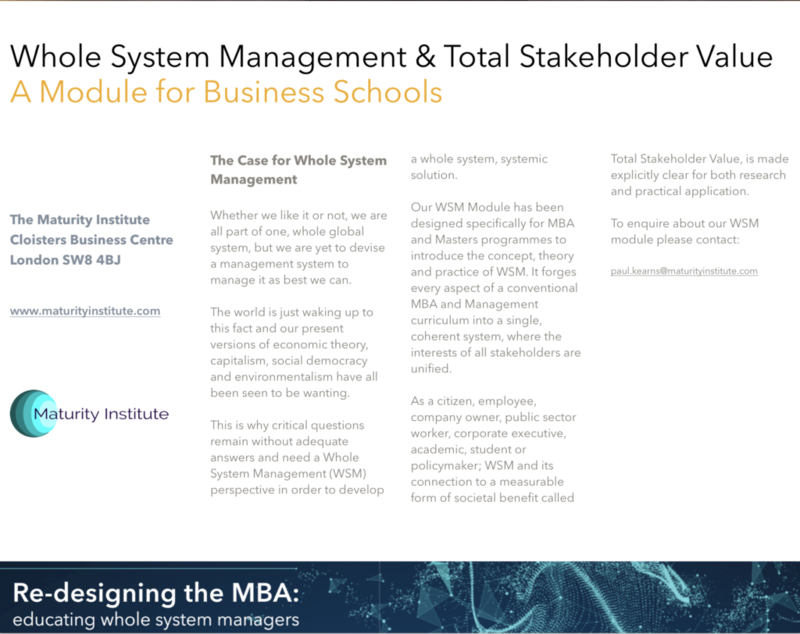 WSM provides meaningful measurement of capability and impact, and a basis for the very best form of management practice.